One year ago, in July 2009, Tumblr was going strong. They had 255 million pageviews that month. By November of last year, that was up to 420 million pageviews. But some new stats which Tumblr is releasing today show an explosion in growth since then. Tumblr is now at 1.5 billion pageviews a month — their Quantcast data confirms this. For the first time, Tumblr is now a top 50 site in the U.S. in terms of traffic as gauged by Quantcast. And only half of Tumblr’s 6.25 million users are in the U.S. Those users are now posting some 4.5 million posts a day — that’s up from 650,000 new posts a day a year ago. Perhaps most impressive of all the numbers though is that Tumblr is now growing by 300 million pageviews per month. That means that their growth is larger than the entire network was a year ago. And if that data holds, they’ll surpass 2 billion pageviews sometime in September. They’re also growing by 25,000 new users a day, so they should hit 7 million users next month. Speaking of half of Tumblr’s users being outside of the U.S., the service is launching each of their themes in 5 languages starting later this week. Users will have a choice between English, French, Japanese, German, and Italian for each of these themes. And more will be coming soon, founder David Karp says. There will be a new set of tools that theme designers can use to take advantage of this new language support. 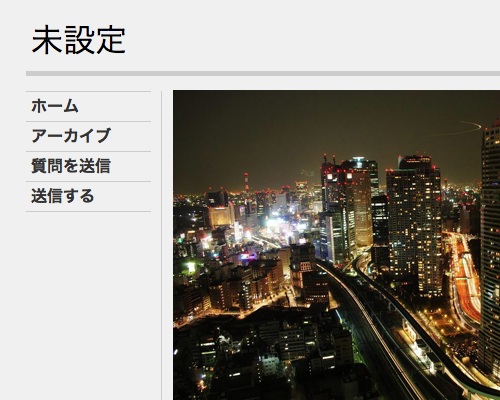 Below is the Tumblr premium Scaffold theme in Japanese.